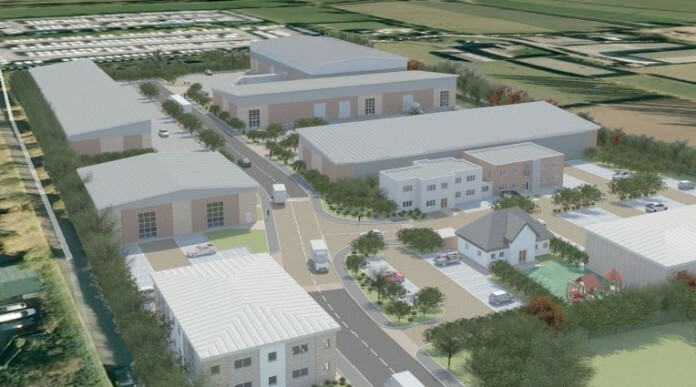 Blaby Business Park is set to deliver a new 7 acres industrial/office scheme with construction to commence this spring. The new build industrial park will offer design and build solutions for Office, Industrial and Warehouse occupiers. The seven-acre site purchased last year will be developed jointly by Brackley Property Developments and Westleigh Partnership Ltd. Located on Lutterworth Road, just off the Blaby bypass, the site is close to Blaby District centre, and benefits from superb access both to Leicester City Center and Junction 21 of the M1/M69. The scheme will provide industrial and warehouse units up to 75,000 sq.ft. and office premises up to 21,500 sq.ft. Infrastructure work is due to start within the next few weeks, with the first premises expected to be finished towards the end of the year. The marketing of the new business park will be carried out jointly by Andrew + Ashwell and APB (Leicester) LLP. Modern offices already located onsite will remain in place and the scheme will be designed to enhance these buildings. Isherwood McCann Architects who occupy one of these offices are advising on the new development. “We are aware of very strong interest in the supply of premises and we are already having discussions on the construction of both office and factory space. There has been very little commercial property built over the past ten years and demand way outstrips supply, so this is excellent news for business. “Blaby is a particularly strong location for its motorway access, as well as the established commercial environments at Meridian and Grove Parks, Cambridge Road Whetstone and Winchester Avenue Blaby. All are highly sought after locations in this thriving area of Leicestershire and enjoy virtually 100% occupancy.